I need to create a calculated column with the value from the Title column and the date part from a Date & Time column, separated by a space and the date format like YYYY-MM-DD. Can someone please help me with the formula? 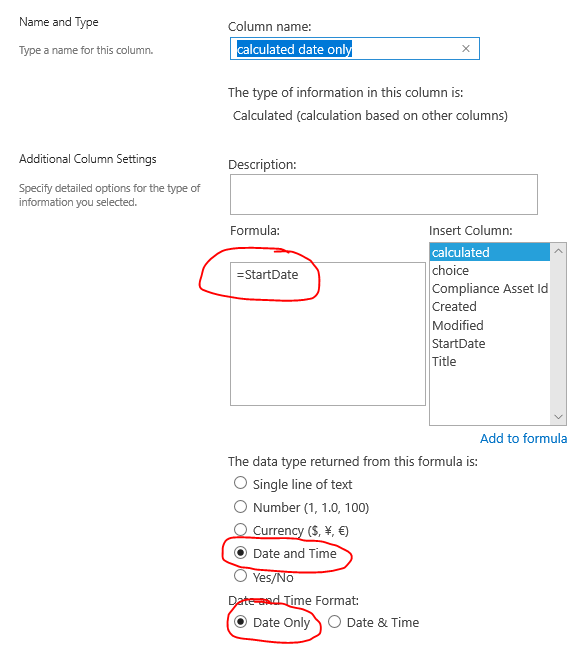 Create a new calculated column called "calculated date only" to only display the Date value of the "StartDate" column. Not the answer you're looking for? 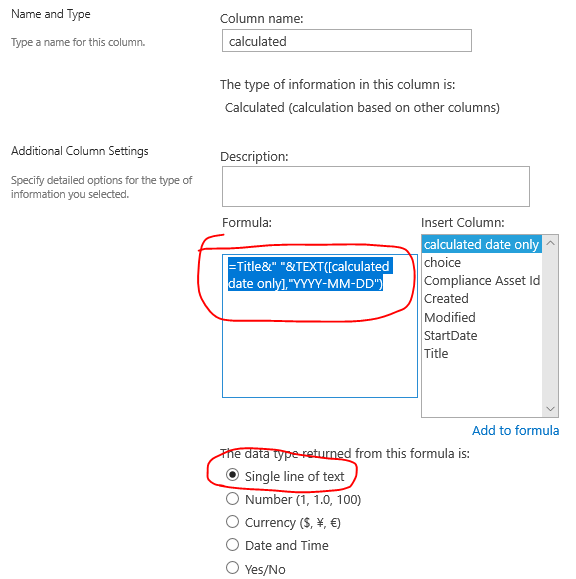 Browse other questions tagged sharepoint-online calculated-column calculated-column-formula or ask your own question.